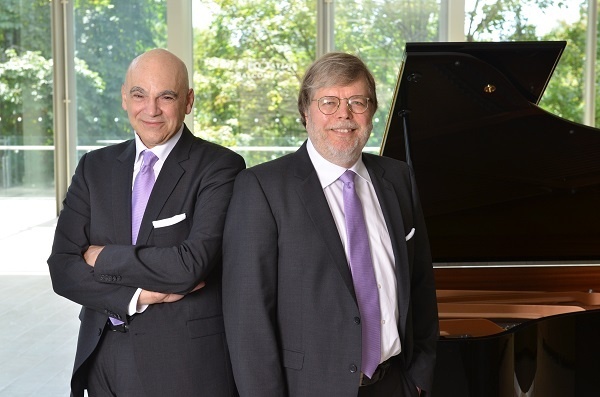 This legendary duo has enchanted audiences throughout Canada, the United States, Europe, and China as well as in St. Petersburg’s Glazunov Hall. Highlights in the 2013 season included concerts in Poland, and a programme of Beethoven’s complete piano duets including the Grosse Fuge op. 134. As performers and scholars, Anagnoson & Kinton hold distinguished places in academic circles. James Anagnoson is the Dean of The Glenn Gould School, Royal Conservatory of Music. He is a graduate of the Eastman School of Music and holds a Masters Degree from The Juilliard School. Leslie Kinton is a professor of piano performance at the University of Western Ontario and is on the faculty of The Glenn Gould School. He holds a Masters degree and a Ph.D. in music theory from the University of Toronto.